You are here: Home / Food / Best Wet Kitten Food: What Is Best for Your New Bundle of Fluff? When it comes to feeding your new kitten the best wet kitten food, you want to do it right. Wet kitten food, next to her mother’s milk, is the foundation of your kitten’s nutritional development. So what’s it going to be? Cost effective, specialty, grain free, natural or homemade kitten food? Let us help you decide on the best food for kittens wet or dry. It is recommended that you start your kitten on wet food, not dry food. Wet cat food is easier on your kitten’s digestive system because it transitions from milk to meat. Your kitten should consumer primarily the best wet kitten food brands until she reaches four months of age, at which time you may start introducing dry food. Veterinarian recommended brands of wet cat food vary by feline maturity. The best brand of wet cat food for kittens may also vary by kittens’ breeds. Remember that every kitten is different, so don’t be discouraged if what works for one kitten isn’t working for yours. Your kitten will be weaned from her mother’s milk between six and eight weeks of age. In most cases, kittens will leave their mothers to go to new homes as soon as they are weaned. Unfortunately, this disables kittens from learning specialized life skills and socialization from their mothers, as they would in the wild. Thus, playing the mother cat role in the kitten’s development becomes the task of the new owner. According to renowned pet care and behavior authority Amy Shojai, your kitten’s emotional development is as integral as her physical development. Maturing kittens need to be taught how to have positive interactions with themselves and the world around them. Ensuring that your kitten experiences sufficient socialization (with both humans and other cats) is an essential part of your job as her guardian. Your kitten should also receive ample positive handling. Kittens that do not receive sufficient socialization and positive handling during the critical first months of their lives are more susceptible to becoming shy or aggressive in adulthood. They may also struggle to become litter trained and to maintain proper hygiene. Kittens are physically able to eat wet cat food for kittens as early as three weeks old. The development of your kitten’s oral/dental and digestive health will need to be taken into consideration when deciding on the best brand of wet kitten food to feed your kitten. You may also decide to make your own healthy wet kitten food. Which type of food is better for kittens, wet or dry? It is best to start your kitten’s relationship with food with only wet cat food for kittens. As your kitten matures, work your way up to a combination of both dry and wet kitten food. Dry food will play an essential role in developing your cat’s dental structure as she reaches maturity. But wet food is easier on your kitten’s digestive system initially. It is recommended that kittens consume primarily wet food until they reach four months of age. At this time, their digestive system will be sufficiently developed to absorb and benefit from all of the nutrients in a dry kitten food or cat food approved for kittens. Feeding your growing kitten wet food will also aid in better hydration and a higher rate of nutrient absorption. The best wet cat food for kittens contains a high proportion of water, which will keep your pet hydrated. The nutrients in wet kitten food are easier for kittens to absorb than dry food because they have been broken down or “partially digested” in advance. After four months, you can begin to incorporate dry food into your kitten’s diet alongside her wet food. You may do this sooner if you moisten the dry food to make it soft like wet kitten food, although it is likely easier to continue to serve premade wet kitten food until the four-month mark. Check out our recommendations for the best dry kitten foods across the board here. Good kitten wet food is ideal for helping your kitten grow. Good wet food for kittens allows for a smoother and more subtle transition from milk. Even kitten owners that go directly to dry food will often add water to their kitten’s food to make it softer, more moist and more palatable. Wet kitten food often has additional nutrients, such as amino acids and antioxidants, that are easily absorbed and contribute to optimal kitten health. As kittens mature, wet food may be phased out and becomes a treat or start used in conjunction with a dry kitten or cat food. As your kitten grows into a cat, she will need eat at least some dry food in order to properly develop her dental structure. So you may be wondering how much wet food to feed a kitten. Does it matter if it’s high quality kitten wet food? The truth is that mature kittens who are fed too much wet food may experience trouble digesting and an early decline in dental health. How Much Wet Food is Too Much? How much wet food should you feed your kitten? The amount of food you feed your kitten should be congruent with her appetite level. Veterinarians have found that, unlike adult cats, kittens are self-regulating when it comes to diet. While obesity is a problem often found in adult cats, kittens will eat only when they are hungry—until they are full. To test the waters with your kitten, start with a small portion of wet food and continually offer more until your kitten loses interest. Use this as a reference point for the next feeding. It’s OK to cover leftovers and store in the fridge for two or three days, retrieving for use as needed. Kittens should be fed to satiation four times per day until they reach 12 weeks old. This graduates to three times per day from 12 to 16 weeks old. From 16 weeks to 6 months old, try to graduate your kitten to twice daily feedings, adding a third supplemental daily feeding only if necessary. Forget Iams and Purina. Controversial won’t cut it when it comes to your new kitten. The best brands of wet kitten food are lesser known but highly recommended with excellent reviews. Hill’s Science Diet wet kitten food is a smooth savory salmon entrée that promotes the healthy development of your kitten with key nutrients and proteins. Hill’s, the healthiest wet kitten food, is kitten tested and veterinarian approved. Meow Mix offers an entire seafood collection of wet kitten food, including tuna, salmon, whitefish, crab and shrimp for a fantastic variety. This is the most cost-effective option for a consistently satisfied kitten. Meow Mix, the healthiest kitten wet food, is also loved by mature cats as an occasional treat. You won’t have to worry about your stock of wet food becoming obsolete as your kitten ages. All breeds of cats require a carnivorous diet. This means that their food must be rich in animal proteins with a moderate amount of animal fats and a small amount of carbohydrates. The best wet kitten foods report being high in amino acids and antioxidants, as well as moderate amounts of fiber and prebiotics. These key nutrients contribute to better digestion and are especially essential if your kitten has a sensitive stomach. In addition, canned wet kitten food has a moisture content of 75 percent, making it an excellent source of water for your kitten’s hydration. If you are looking for specialized, high quality options of wet food such as natural or grain free kitten wet food, consider the best kitten wet food brands we’ve discovered. Blue Basics, WholeHearted and Earthborn all offer excellent grain free wet kitten food with raving reviews. Most of these wet food options come with gravy for added nutrition and flavor. WholeHearted tends to be the most highly recommended for kitten breeds, but all three of the above products have excellent reviews. Remember that every kitten is different with a unique set of dietary needs. The Blue brand is recommended for kittens with troubled digestion. Blue Basics incorporates simple naturally grain free sources of carbohydrates, potatoes and peas. Earthborn offers a vast selection of natural flavors for picky kittens. Our favorite brand of natural wet kitten food is Instinct. Instinct brand wet cat food is reported to be so powerful that it makes feline coats “glitter” with health. Note that there may be a small adjustment period if this is not the first food your kitten has tried. Expect to see a noticeable change in energy and appearance within a few weeks. You can purchase any of these brands directly by simply clicking the links above. We appreciate the referral. Some cat owners opt to make their own homemade kitten food instead of purchasing in store or online. When concocting your own wet kitten food, make sure to incorporate enough (but not too much) of the essential nutrients from your chosen ingredients. A good source of nutritional tips and information is your veterinarian. Any kitten food you make should be mega rich in proteins from animals. Remember that cats are carnivorous, and will thrive only on a diet of meat and animal byproducts. Dr. Clare Middle suggests yogurt, soft cheese, ground raw meat and ground raw bone as easy, excellent, nutrient-rich wet food sources for kittens. A vegan diet is not appropriate for felines of any age. An important nutrient to watch out for when making homemade kitten food is carbohydrates. Kittens can only tolerate a small amount of carbohydrates before their digestion, energy levels and development are hindered. If you are unsure how to ration the carbohydrate proportions appropriately, consider making grain-free kitten food instead. Lastly, ensure the fatty sources are distributed in moderation throughout the food. If you decide on homemade food on a long-term basis, we recommended sourcing a veterinarian-approved recipe or requesting one directly from your vet. 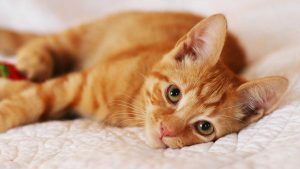 This will ensure that your homemade cat food is correctly balanced nutritionally for your kitten’s ongoing development. Is wet food good for kittens? Yes. But what is it about the ingredients in wet food that make it so beneficial? raw chicken necks hammers and chopped into pieces. Whether you decide to go with the most cost-effective, the best quality, the widest variety or homemade wet kitten food, the most important factor to consider is your kitten’s health and development. If you find that the recipe or brand of wet kitten food you’ve chosen is having a negative impact on your kitten or that your kitten simply isn’t taking to it, don’t hesitate to do some more research and take another route. If a dietary problem persists or becomes severe, consult your veterinarian right away. What works best for one kitten may not be the best for another. Ultimately, it is your responsibility as the owner to assess and honor the dietary needs of your unique kitten as best you can. Seek further professional guidance if needed. Let us know in the comment section below what are your favorite foods to feed your kitten. Middle, C., 2008, “Real Food for Dogs & Cats,” Freemantle Press, 1st Ed. Shojai, A., 2010, “Complete Kitten Care,” FurryMuse Publications, 3rd Ed.